“The greatest advance in oil-spill cleanup technology,” a cleanup expert told me almost 20 years ago, “is the move from the short-handled shovel to the long-handled shovel.” Nothing of significance has changed since. The fact is, marine oil spills cannot be cleaned up; they can only be prevented. Right now a lot of people are trying to use the current financial situation to get around the sort of controls that are needed to prevent another Exxon Valdez. In fact that was quite a small spill – far less than the infamous Torrey Canyon that I recall going down off Cornwall in my younger days – with dead birds washing up for months afterwards. We are being told that it is “necessary” to relax all sorts of environmental controls in order to dig our way out of this recession. This is the technique that was revealed by Naomi Klein’s “Shock Doctrine”. We are told that in order to see a rapid wave of new investment bringing much needed new jobs “bureaucratic controls” and “duplication” need to be reduced. What they really mean is that if they can get around these safeguards, industry costs will fall and profits will rise – and the environment will suffer. In BC there are two big issues being pushed like this. The Enbridge proosal for an oil pipeline between Kitimat and the oil sands, and the continuing push for the development of off shore oil and gas. 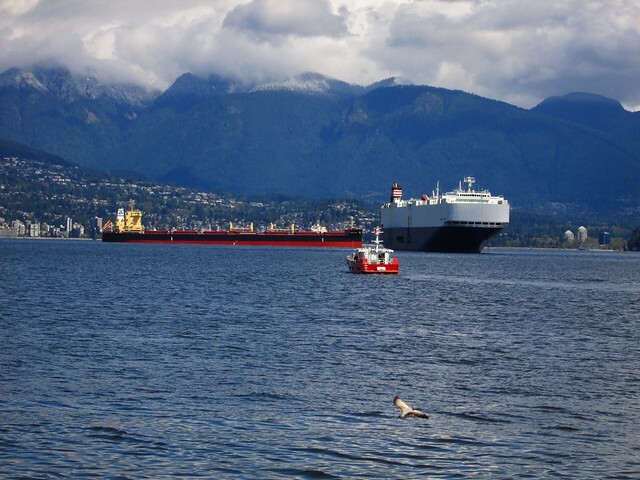 The Kitimat terminal would handle imports condensate – a refinery byproduct used to help extract usable products from the sticky bitumen and sand mixture being hauled out of Northern Alberta – as well as exports of that oil. What might happen to oil and gas found under the sea bed is not yet determined. It will depend on locations and volumes but a common practice is to load tankers from platforms at sea rather than build pipelines from the well head to shore. And if you think that the lessons of the Exxon Valdez have been taken to heart by the oil industry takes some time to read the Seattle Post Intelligencer special report on oil tankers – and the accompanying PBS documentary.